The cameras on the 91.85-kilogram satellite is expected to take pictures of the outer space, which could be stitched together as a panorama, in the hope to provide a better spacewalk experience for virtual reality glass users, according to Xu Jiakang, one of the satellite’s chief designers. 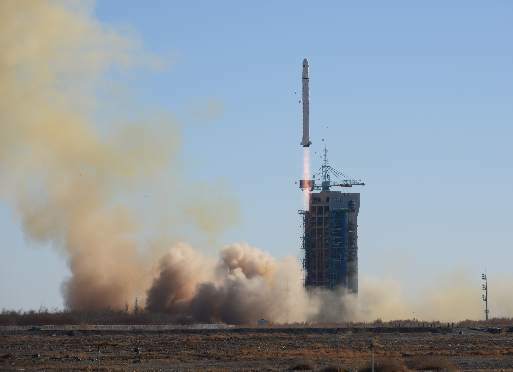 Peng Yuanyuan, Commsat’s co-founder, said another four satellites are expected to orbit the earth as of end of 2019, and alongside the Ladybeetle satellites, they could provide commercial services, including monitoring overseas purchases. This entry was posted in Satelite Technology and tagged Commsat, Commsat Technology Development, CubeSat, Ladybeetle on December 10, 2018 by Tim Cosgrove.